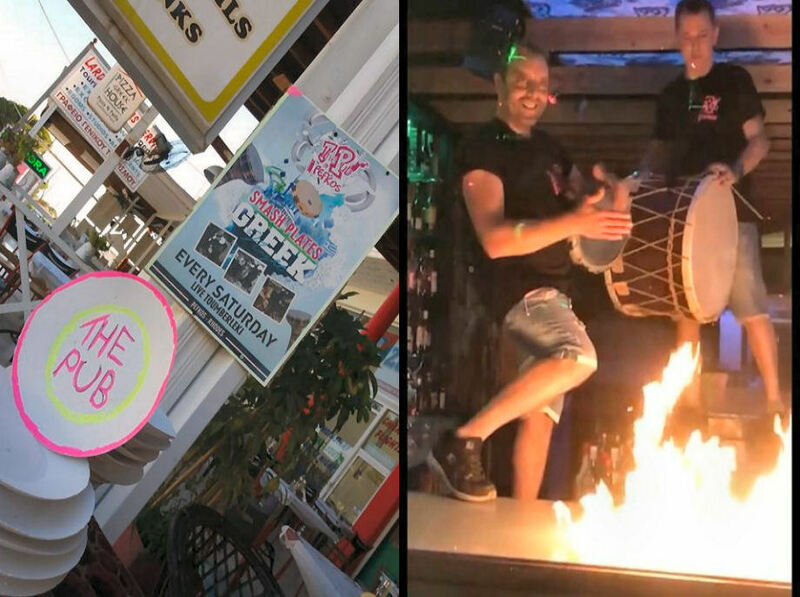 Greeks Nights with Plate Smashing. Northern Soul, Motown Music and Rock N Roll nights, and a Great Quiz! The Pub is a very popular bar located on the Main Beach Road, near Alexandras and Jewels and Jewels. Michalis, Bill and the team do a brilliant job providing great drinks and entertainment. 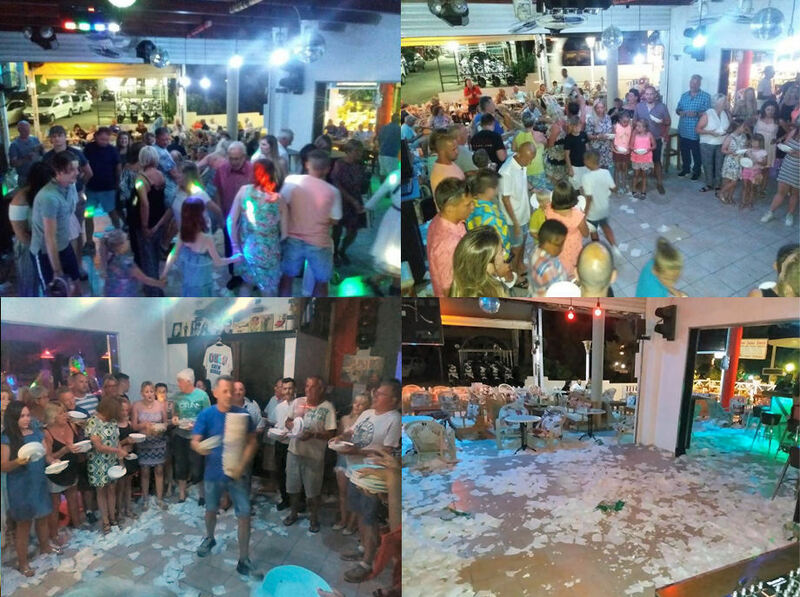 They have their very authentic Greek Night, one of the liveliest in Pefkos, complete with plate smashing. If you've never tried it, you really must. Michalis tells us that during 2018 they smashed over 10,000 plates. Their Pub Quiz is also really popular, with lots of Video Clips on the TVs. It's also a great venue for music, with regular Northern Soul, Motown Music and Rock N Roll nights - the place in often buzzing with the dance floor full and lit up by the disco lights. 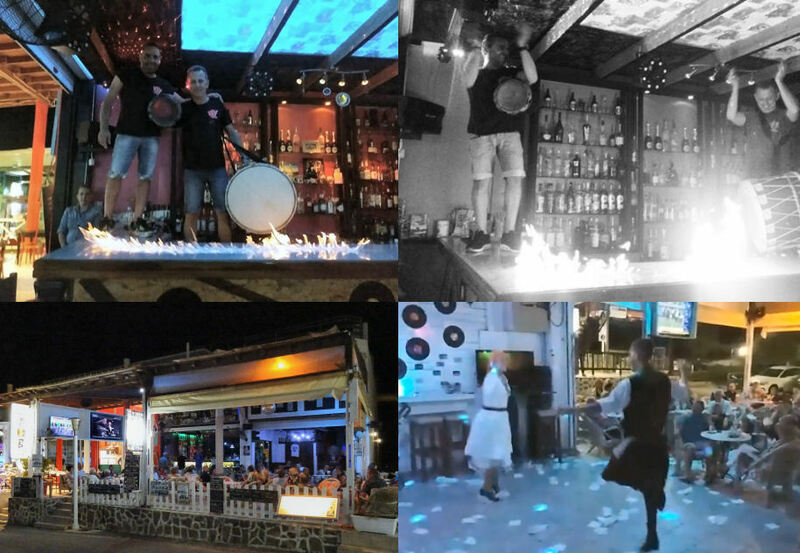 Regulars will also know the work the Pub team does to support charities, both in Greece and the UK. 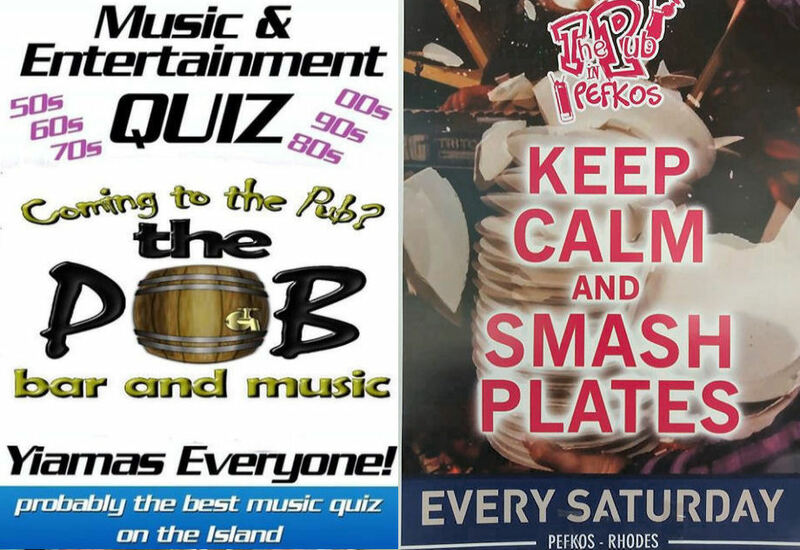 Friends of The Pub In Pefkos (Rhodes, Greece) - this has over 2,700 members so you know how well thought of this place is.